Rev. 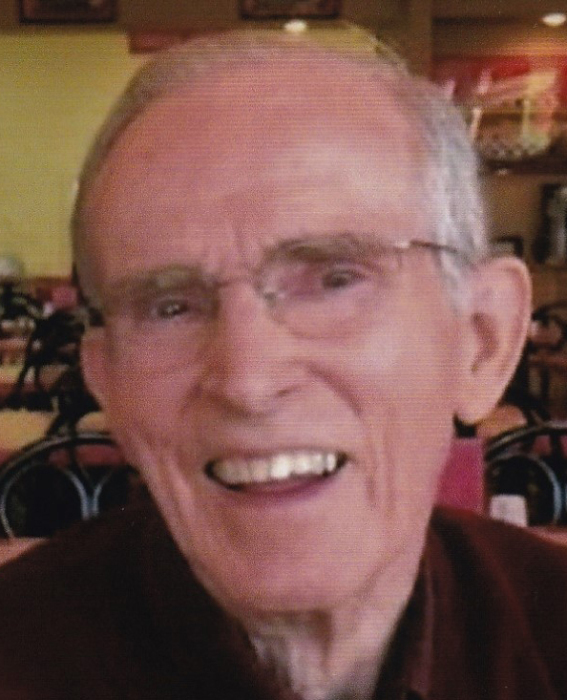 Gerald H. “Jerry” Dooley, 82, was called into the presence of his Lord and Savior Jesus Christ on Monday, May 14th, 2018 at his home in Galveston, Indiana. He was born in Alton, Illinois on August 15, 1935. He was the son of Charles O. “Buck” Dooley and Georgia Pearl (Graham) Dooley. The turning point for Jerry’s entire life, however, was when he was “born again,” or literally “born from above.” On September 11, 1952, at 17 years of age. As he began his senior year at Alton High School, he accepted an invitation to attend Bible-centered services at Brown Street Baptist Church. Knowing he had a spiritual need he could neither define nor disregard, Jerry accepted the invitation. That evening God worked in his heart and brought about conviction and his conversion. Jerry accepted the Lord Jesus Christ as his personal Savior. Thrilled with God’s free gift of eternal life, his own life was never the same. Jerry graduated from Alton High in 1953. He enrolled at Baptist Bible Seminary in Johnson City, NY and earned his bachelor of theology (ThB) degree. On December 27, 1960 he and Brenda Ann Glover of Alton were united in marriage at the Sanford Avenue Baptist Church. They were richly blessed of God in a partnership of marriage and ministry that spanned their 57 years together, serving Baptist pastorates in Illinois, Colorado and Indiana. Upon retirement from fulltime pastoral ministry in 2006, they moved to Galveston, Indiana and Jerry continued to serve as guest teacher, and preacher. Preceding him in death were his parents, brothers Vernard and Ronald, and a sister, Carolyn Thompson. He is survived by his beloved wife, Brenda, their children: Anna Murphy, David (Susan) Dooley, Mark Dooley, and Pricilla Gunn. Surviving grandchildren: Matthew, Grace and Andrew Dooley; Bryan Kruse and Zach Gunn. Surviving brothers: Delmar (Minnie) Dooley, Dale Dooley and a sister, Nancy Connoyer. Several nieces and nephews also survive him. Funeral services will be held at 10:00 a.m. Friday, May 18th at the First Baptist Church in Galveston, 207 S. Sycamore St., Galveston, IN with The Rev. Ron McDugle officiating assisted by The Rev. John Murdoch. Burial will follow services at the Galveston Cemetery. Visitation will take place from 9:00 a.m. Friday until time of services at 10:00 a.m. at the church on Friday.